Apple today seeded the sixth beta of an upcoming macOS High Sierra 10.13.2 update to developers, a few days after seeding the fifth beta and a month after releasing the macOS High Sierra 10.13.1 update. The new macOS High Sierra 10.13.2 beta can be downloaded from the Apple Developer Center or through the Software Update mechanism in the Mac App Store with the proper profile installed. It's not yet clear what improvements the second major update to macOS High Sierra will bring, but it's likely to include bug fixes and performance improvements for issues that weren't addressed in macOS High Sierra 10.13.1. This update may fix a serious macOS vulnerability that enables the root superuser on a Mac with no password or additional security check. Apple released a patch for the bug in macOS 10.31.1, but the issue has not been fixed as of yet in macOS 10.3.2. 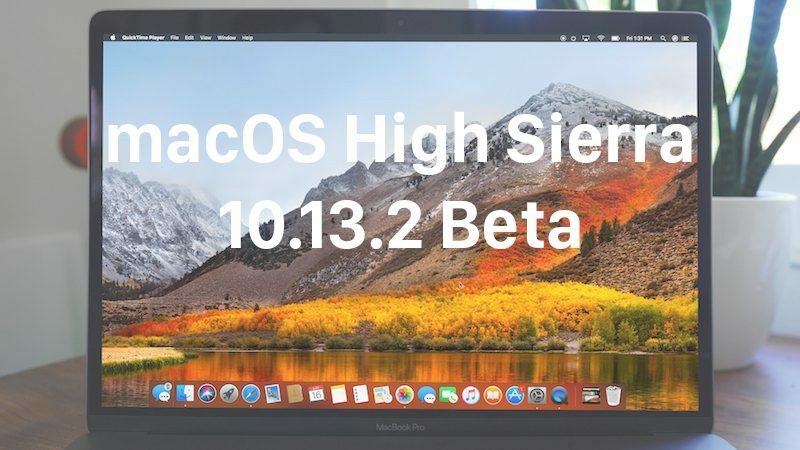 No significant new features were discovered in the first five betas of macOS High Sierra 10.13.2, but we'll update this post should notable changes be found in the sixth beta. Update: Today's macOs High Sierra 10.13.2 beta is also available for public beta testers. And they still have to enabled APS for fusion drives.... fireworks. It's a filesystem. I'm fine with waiting for them to work out all the bugs. Safari keeps crashing since updating. Anyone with these issues? Any fix ideas? It's hard to know what to wish for on this, since so far it's carnival whack-a mole, where whopping one bug has an immediate and simultaneous effect of forcing another to emerge. Note to Apple: No one is in a rush for a bad job.